Every September since 2006, I’ve going to Brighton for the conference I founded, writes John Davey. 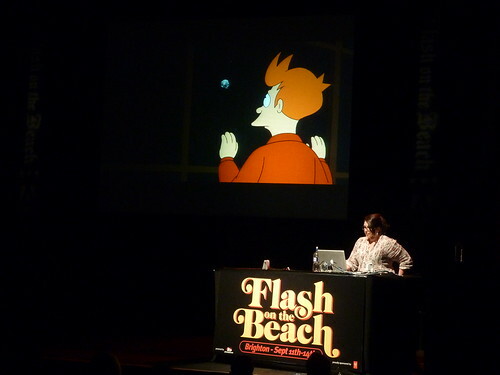 For the first six years it was called ‘Flash on the Beach’ (FOTB). Top: Jessica Hische; right: Han Hoogerbrugge, both at FOTB 2011. 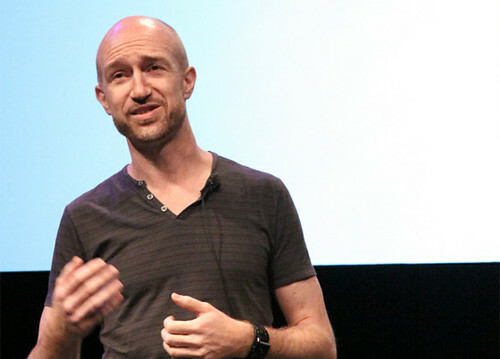 Below right: Yves Peters (aka Bald Condensed), who will be speaking at ‘Reasons to be Creative’ 2012. So it seemed illogical to keep calling the event ‘Flash on the Beach’, as it was much broader than just a Flash conference. We have had Oscar winners, Emmy winners, Hall of Famers, typographers, illustrators and unclassifiable artists of all kinds. 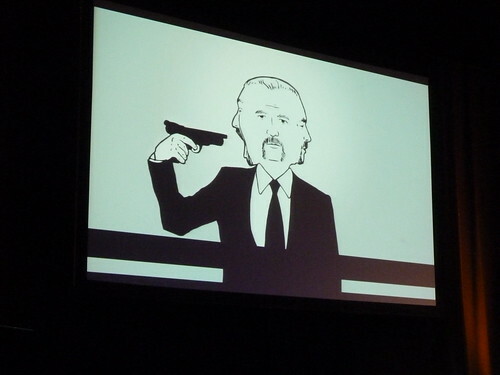 With speakers such as Stefan Sagmeister, Eva-Lotta Lamm (above, from FOTB 2011), Brendan Dawes, James Victore, the late Hillman Curtis, Robert Hodgin and many more, you can see how varied the event is. Add to this list names such as John Maeda, Paula Scher, Ken Perlin, Jeffrey Zeldman, Zach Lieberman and Josh Nimoy (who spoke at our New York version), and you can see where we’re heading. If we had a theme each year, then it would probably be ‘The Creative Process’. Whether you are a designer, coder or artist, we all go through that – hence ‘Reasons to be Creative’. So next week – from Mon 3 to Wed 5 September – expect three full days of presentations that cover coding tips and tricks, inspirational work, amazing design, stories of the hows, whos, whys and wherefores from some of the world’s best speakers. At the very least, expect to return to work pumped and invigorated with inspiration, tips, tricks, code and a pocketful of new contacts from peers you met during the event. Reasonstobecreative.com; Twitter: @reasonsfestival; Lanyrd: lanyrd.com/2012/r2bcreative. 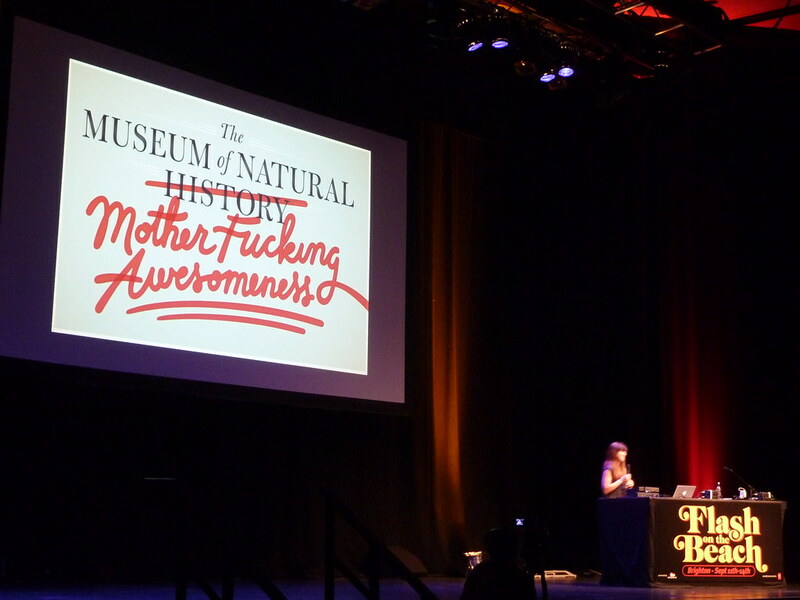 See ‘Code tripping’ and ‘Awesomely awesome’, the Eye blog’s reviews of last year’s conference. 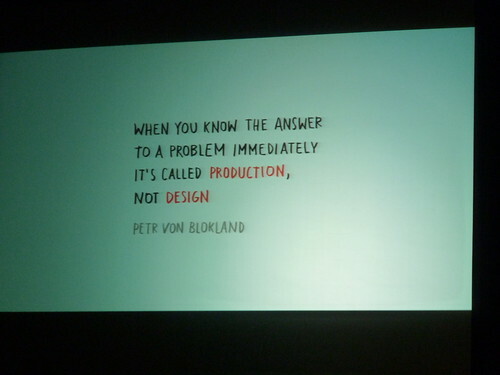 Right: slide from Eva-Lotta Lam’s presentation at FOTB 2011.